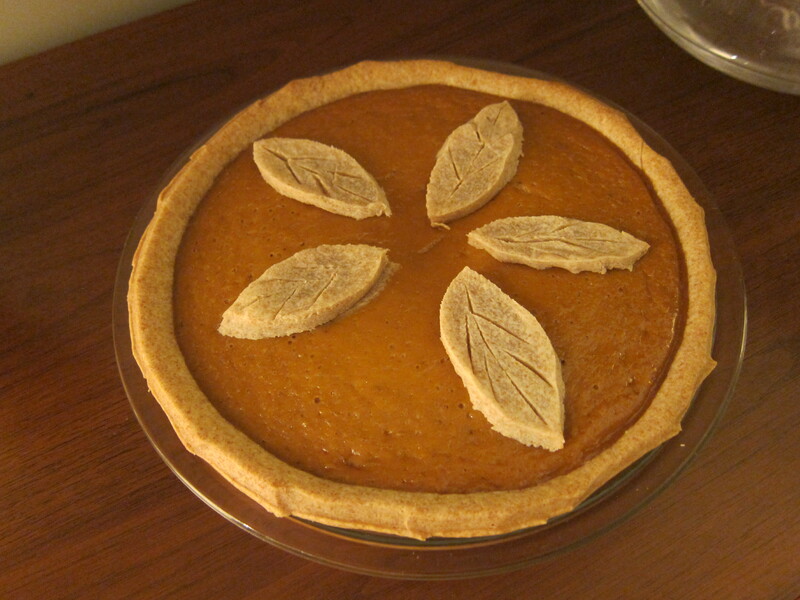 Could you consider pumpkin pie a vegetable side dish? I’ve been arguing this point for some time, and so far the only person I’ve convinced is myself, and even then only when I find myself eating it for lunch. In support of this pumpkin-pie-as-health-food perspective, I’ve developed what I consider to be the most nutritionally virtuous pumpkin pie recipe around. If you have any suggestions on how to do better, I’m all ears, as that will only mean more reasons to eat pumpkin pie as something other than dessert. Add the cut-up butter and coconut oil and use your hands to combine, working the butter and coconut oil into small pieces no bigger than a pea. It’s important to do this relatively quickly while the butter is still cool. 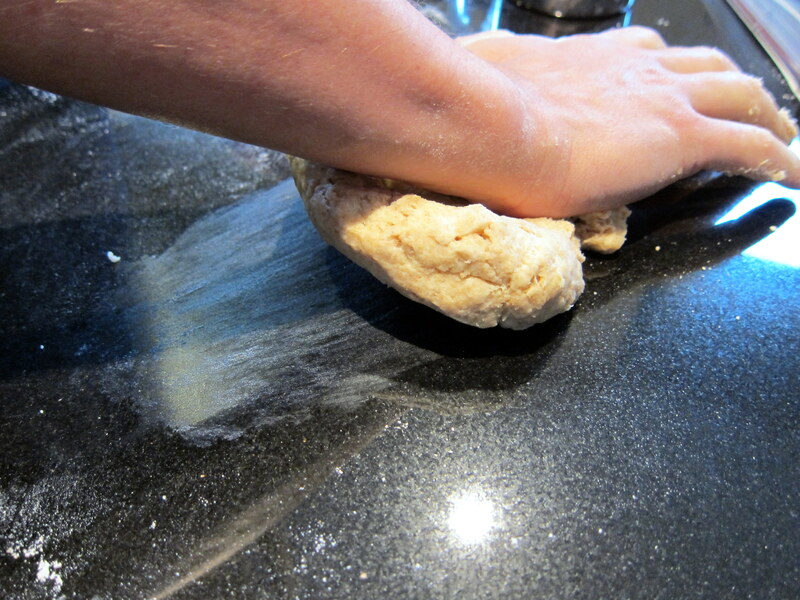 Pour the ice water around the edges and again use your hands to combine, looking to get a pretty shaggy ball of dough. Divide the ball of dough in four. Take a quarter and smear it on the counter from one side to the other with the palm of your hand, repeating three or four times until it is a bit smoother and the butter and coconut have mixed into the flour better. This technique is akin to fraisage, but it’s not quite as messy or difficult in this recipe as in others. Combine the four quarters of the dough into a single ball, break into two, wrap in plastic or cover with a damp towel, and refrigerate for between one hour and one day. Roll the dough out to about 1/4 of an inch thick, lay into a greased pie tin, and trim the edges, retaining extra dough for decorations or additional pies. The next step is the filling. This filling recipe, which is the result of much experimentation, is definitely non-conventional. 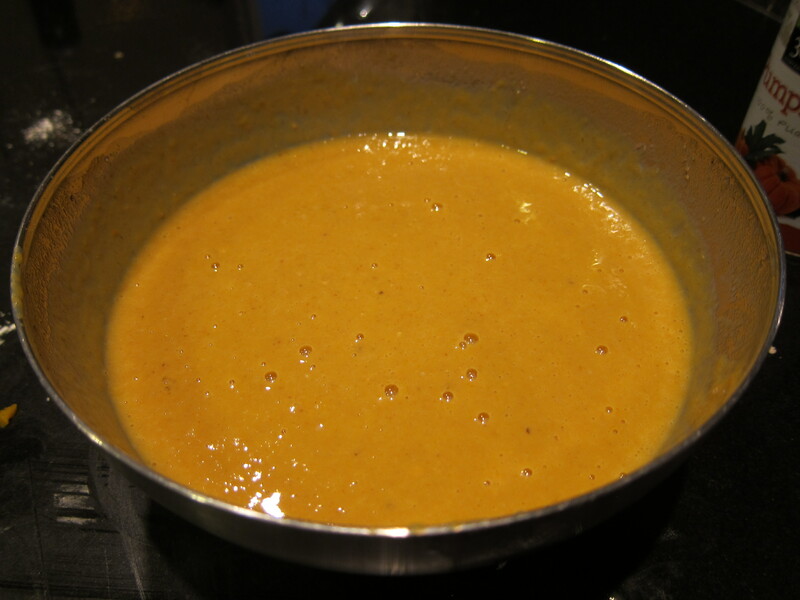 Instead of using heavy cream and envelopes of “pumpkin pie spice,” I use non-fat dairy, some thickeners, and some great spices you may already have around the house. If you can lay your hands on a fresh pumpkin, definitely cut it up, cook it until it’s tender, scrape out the flesh, and puree it. When that’s not the case, a can of pumpkin puree is an ok substitute. A can is certainly a lot easier, and I won’t judge if you go that route even during pumpkin season. 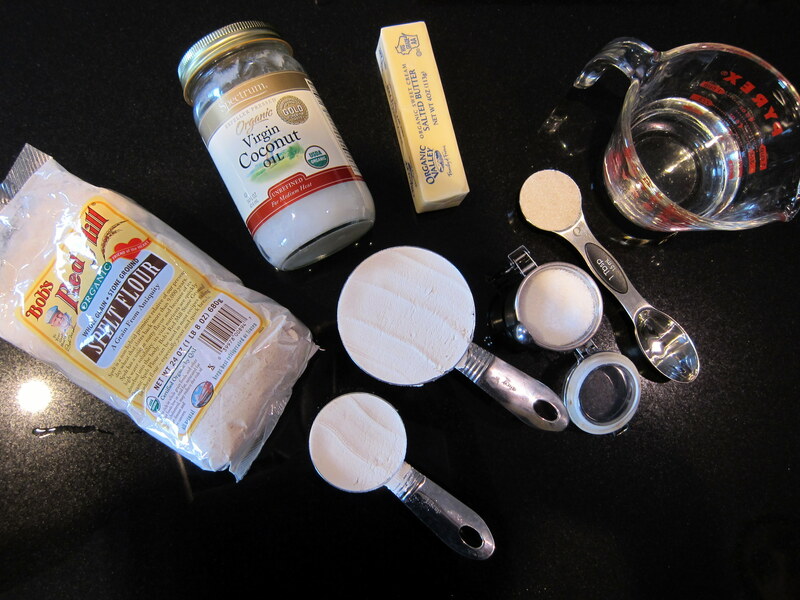 Combine all of these ingredients and pour into the pie filling before baking. The filling will feel very thin, more like a liquid than a pudding. Don’t worry: It will thicken plenty as you bake it. Place the pie into a 350 F oven for 60 minutes, using a pie shield ring if you have one. Use the extra dough to cut out shapes, whether a grid or leaves. Confirm that filling can support the trim; if so, add to the top of the pie and cook for another 10-15 minutes, until all crust is golden. Serve warm or cold. *Note to Australians: When I lived in your lovely country, I noticed that you refer to all members of the squash family as “pumpkins” (e.g., “butternut pumpkin”). The pumpkin I refer to in this recipe is a special North American breed that is generally round, bright orange, and very starchy. You can substitute some but not all of your “pumpkins” for this if you can’t lay your hands on it; I would recommend an acorn or butternut variety.